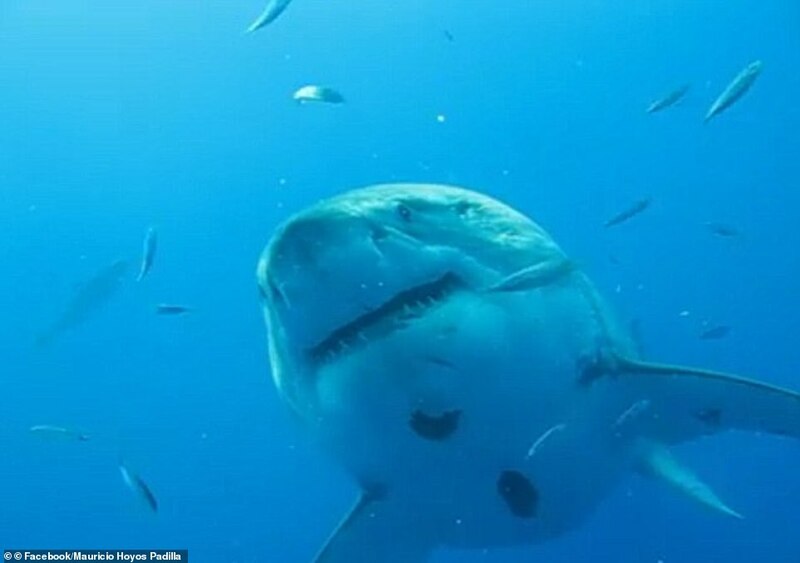 Several divers have taken part in a daring photoshoot with the biggest great white shark on the planet after it was spotted swimming near Hawaii. 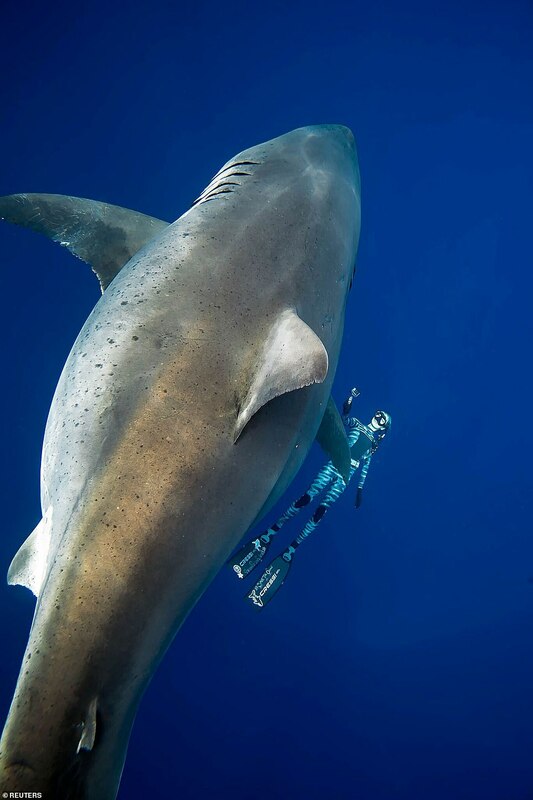 The enormous predator, known as ‘Deep Blue’, was first seen by photographers Mark Mohler and Kimberly Jeffries on Sunday last week – who went to swim with it soon after and shot a series of remarkable photos alongside it. 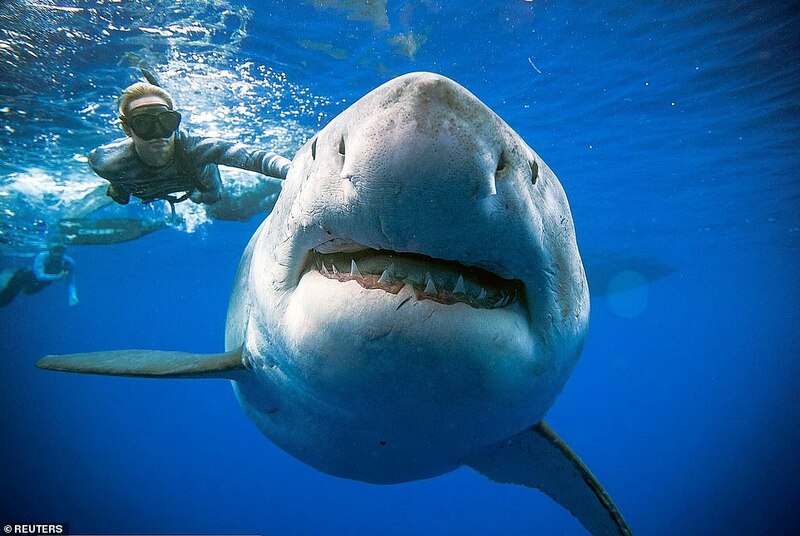 Soon afterwards conservation photographer Juan Oliphant decided to take the plunge himself and head out to swim with the creature with marine biologist Ocean Ramsey as it fed on a dead sperm whale around nine miles from Oahu, Hawaii. 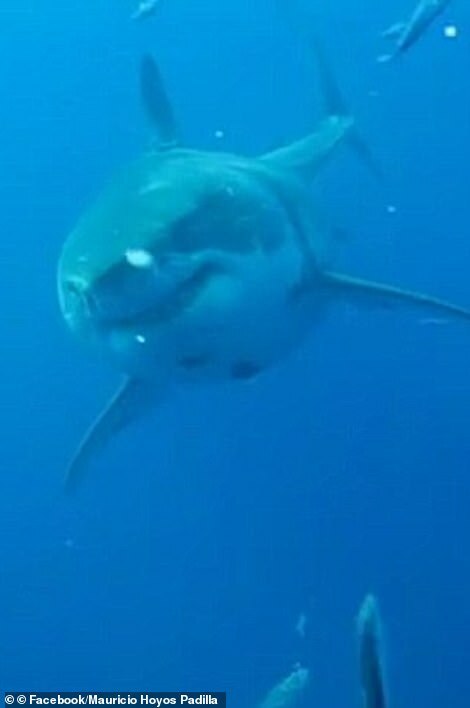 Deep Blue is believed to weigh around 2.5tons, measure up to 20ft in length, and is estimated by scientists to be around 50 years old. It was identified as Deep Blue because of a tag placed on it by scientists during an appearance over 20 years ago off the coast of Mexico. Divers could identify her as ‘Deep Blue’ thanks to a tag she was implanted with when she appeared off the coast of Mexico two decades ago. Remarkable photos shot by Oliphant show him and Ramsey swimming right next to the enormous predator. 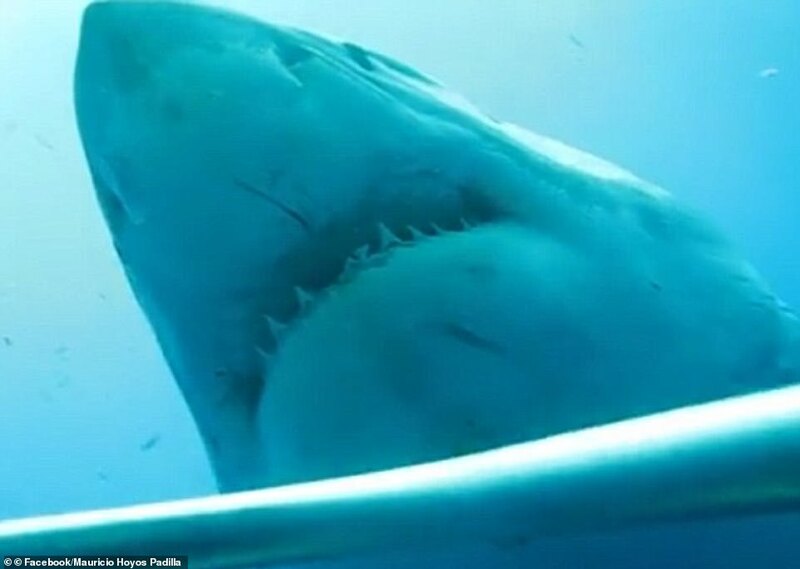 Posting on Instagram shortly after the swim, Oliphant wrote: ‘Face to face with the worlds largest great white ever recorded “Deep Blue” with @oceanramsey. ‘I’m still in shock that we spent almost the whole day with this amazing animal in my backyard. 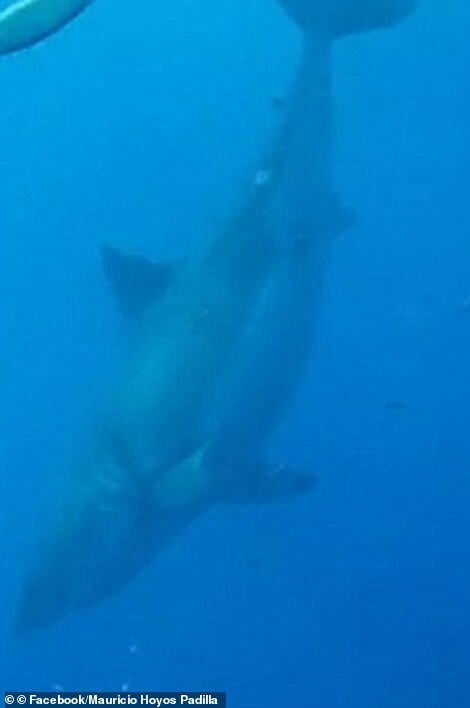 Video shot by the same photographer Kimberly Jeffries and posted on Facebook shows a group of tiger sharks feeding on the dead sperm whale before Deep Blue arrived.